The Endurance World Championship, a series recognised by the FIM (International Motorcycling Federation), is the pinnacle of endurance racing. Races take place over eight or 24 hours, so rider changes, refuelling and tyre changes are all part of the battle for position. Based on production models powered by 4-cylinder engines displacing up to 1000cc, or 2-cylinder engines displacing up to 1200cc, machines are modified with equipment to facilitate quick fuel charges and tyre changes, and tuning that prioritises reliability. In order to be able to race at night, a headlamp is also required equipment. Races like the Suzuka 8 Hours, Le Mans 24 Hours and Bol d’Or 24 Hours are steeped in history and tradition. In recent years, the high pace sustained for long hours has made these some of the most gruelling races in the world – something that only adds to their popularity. 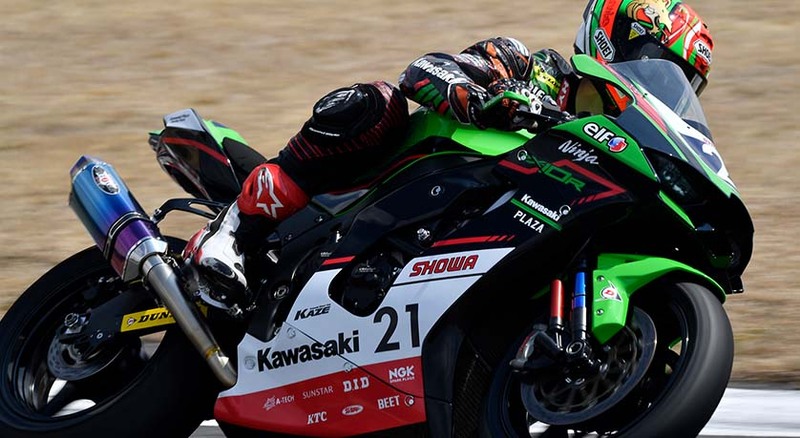 Team Kawasaki SRC, supported by Kawasaki France, is one of the most prominent Kawasaki teams and have experienced victory in Le Mans and the Bol d’Or. They will be competing with the Ninja ZX-10RR. The British Superbike Championship (BSB) is a national road racing series held primarily in the United Kingdom. Many BSB riders go on to race in the Superbike World Championship and MotoGP; conversely, BSB famously counts former World Superbike and MotoGP riders among its number, which increases the level of competition as well as the series’ great popularity. Teams field machines based on production models powered by 4-cylinder engines displacing up to 1000cc, or 2-cylinder engines displacing up to 1200cc, however electronic rider aids like traction control are forbidden, making the races an even greater test of the riders’ technique. 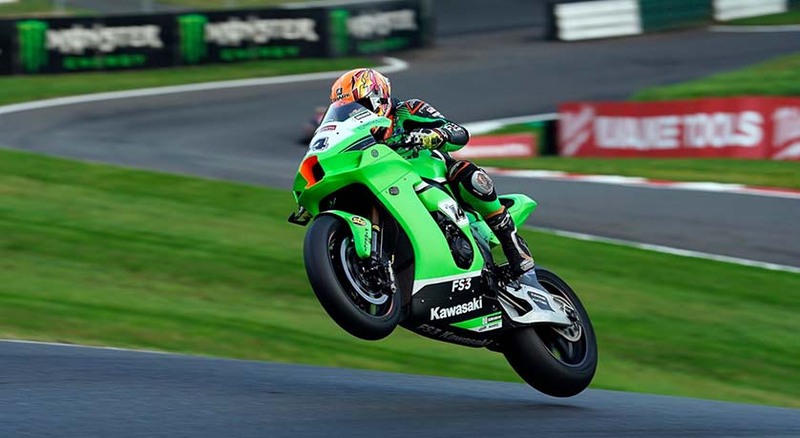 In recent years, Kawasaki machines have been at the forefront of the action in BSB, and notably Leon Haslam took his Ninja ZX-10RR to the 2018 title. 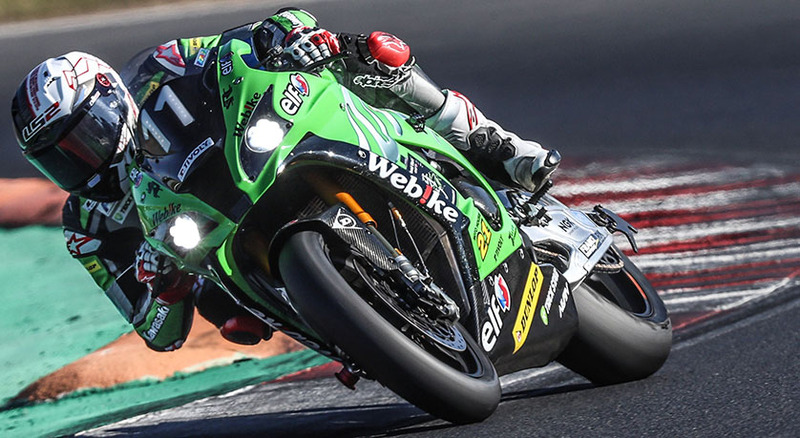 In the 2019 season, the top Kawasaki team is the Kawasaki UK-supported JG Speedfit Kawasaki, who are competing with the Ninja ZX-10RR. The Asia Road Racing Championship, recognised by the FIM (International Motorcycling Federation), is a production-based road racing series with rounds in various Asian countries. From the 2019 season, the championship is introducing a new top-level racing class, ASB1000, which will see competition between machines based on production models powered by 4-cylinder engines displacing up to 1000cc, or 2-cylinder engines displacing up to 1200cc. The SuperSport 600 class (for 600cc models) and Asia Production 250 class (for 250cc models) will continue as before. The level of competition has been increasing every year, and riders often step up to European championships like the well-respected Spanish National Road Race Championship, and even the FIM Road Racing World Championship Grand Prix. Kawasaki-affiliated teams include the Kawasaki Thailand Racing Team (supported by Kawasaki Motors Thailand) racing in ASB1000, and Manual Tech KYT Kawasaki Racing, who are racing in Asia Production 250. The All Japan Road Race Championship, organised by the MFJ (Motorcycle Federation of Japan), is Japan’s premier road racing series, with races held at circuits across the country. The top class, JSB1000, is contested by production-based machines powered by 4-stroke 4-cylinder engines displacing 600cc-1000cc, 3-cylinder engines displacing 750cc-1000cc, or 2-cylinder engines displacing 850cc-1200cc. Because race machine modifications are limited, race performance is seen as a reflection of the performance of production model counterparts, contributing to the popularity of this series. Kawasaki Team Green, supported by Kawasaki Motors Japan, is the top Kawasaki team, fielding Ninja ZX-10RR race machines in the JSB1000 class. The All Japan Motocross Championship, run by the MFJ (Motorcycle Federation of Japan), is Japan’s premier motocross racing series. Events are hosted by the various regions across the country, with races held on outdoor dirt courses featuring naturally undulating terrain and man-made technical sections. Riders with International A-rank qualification can compete in two classes: IA1 (4-stroke 450cc machines, or 2-stroke 250cc machines) and IA2 (4-stroke 250cc machines, or 2-stroke 125cc machines). The machines are specially prepared motocross racers. 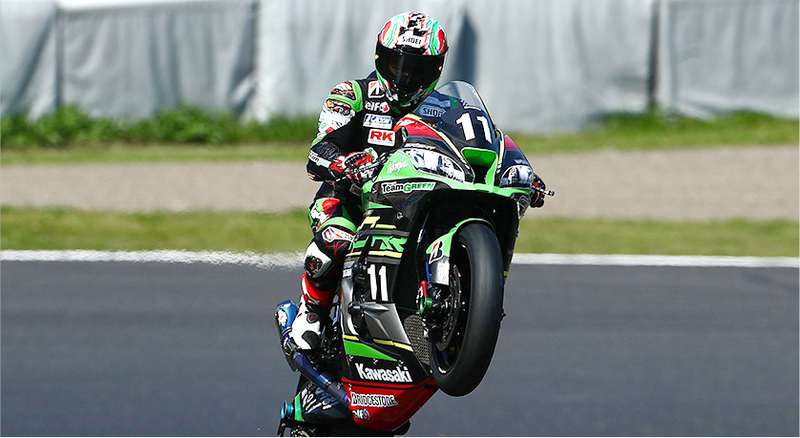 Kawasaki Team Green, supported by Kawasaki Motors Japan, is the top Kawasaki-affiliated team. 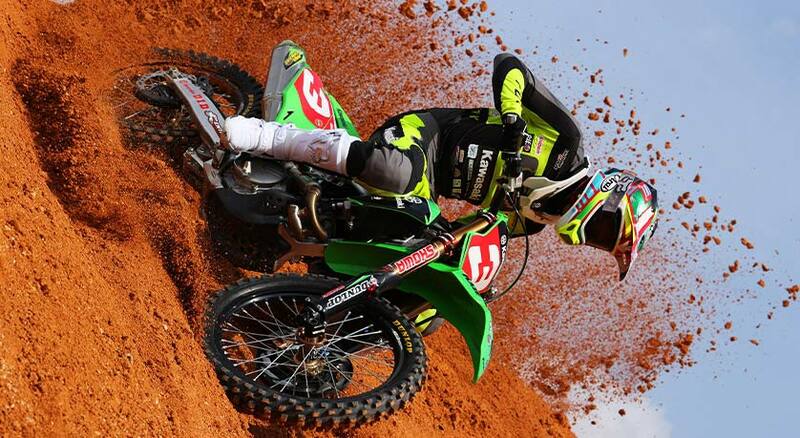 They compete in IA1 with KX450-SR factory race machines.